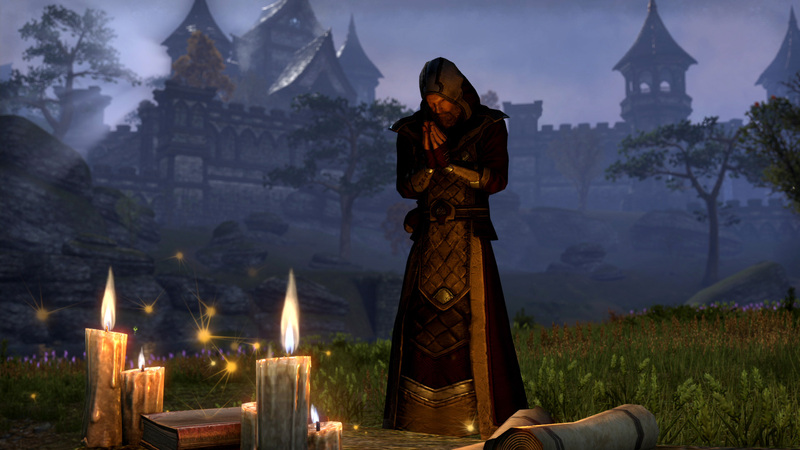 When I first saw The Elder Scrolls Online at E3 last year, to say I was dubious would be extremely charitable. The presentation was short - a bit of handwaving, some appropriately soaring music, and then "Hey, how about that Dishonored?" - but the little I saw looked like Ye Olde MMO(e) that had been given a quick lick of Elder Scrolls paint. I left that presentation with my eyebrow quirked at exactly the right angle to impart how little I was impressed, and it was with that eyebrow still firmly arched I sat down to play the game last week. Four hours had been slotted in the schedule for the play session, which I estimated to be about three and a half too many. 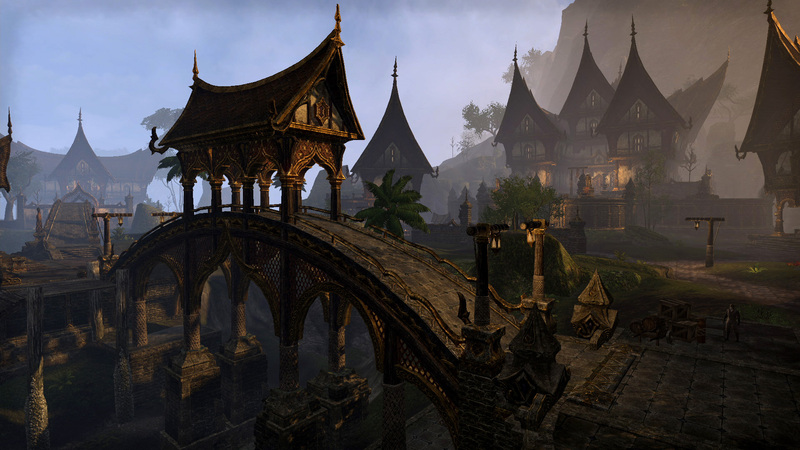 The story of The Elder Scrolls Online, explained to us by Game Director Matt Firor and Creative Director Paul Sage, sounded Scrollsy enough. 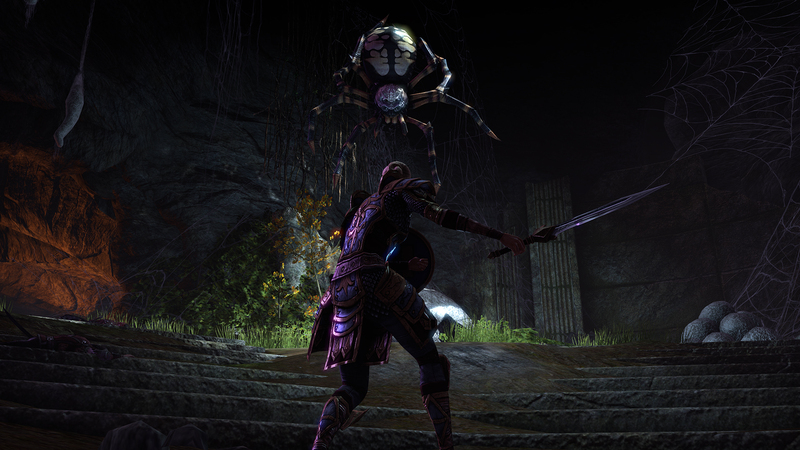 Daedric Prince Molag Bal has killed you and stolen your soul, and your mission throughout the game is to try and get it back. Well, and to figure out why he took it in the first place, though really, he's Molag Bal, he just does that sort of thing. 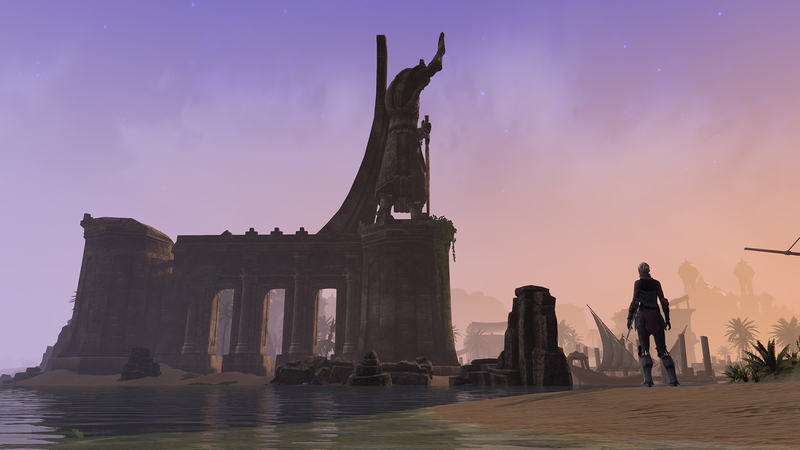 Our play session would start in one of the game's three starting areas: The Daggerfall Covenant, on the sandy beaches of Stros M'Kai. 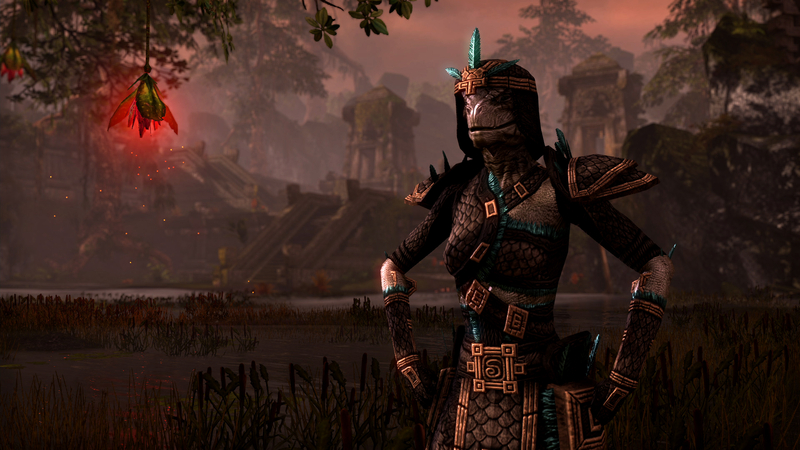 You wake up to discover that Captain Kaleen saved your sorry life by fishing you out of the ocean after Molag Bal shoved you through the nearest portal. In return, perhaps you could help her with a little problem she's having. She's got this great heist planned but finds herself short on manpower, and if you could just recruit an extra helping hand or three, she'd cut you in on a share of the loot. And just like that, I forgot I was playing an MMO. Sure, there were people with names like Franknfurter and Mr. Chippy Nibbles running around the town with me (seriously, game journalists come up with the worst character names. I went with Finwell Trepsic, by the way. ), but once I was actually able to walk around and interact with the world, the notion I was in an MMO completely vanished. Nobody asked me to kill ten rats or run a package over to the nearest shop. I knew people wanted to talk to me not because they had a whopping great exclamation point over their head, but because they called out to me - every NPC in the game is fully and distinctly voiced. 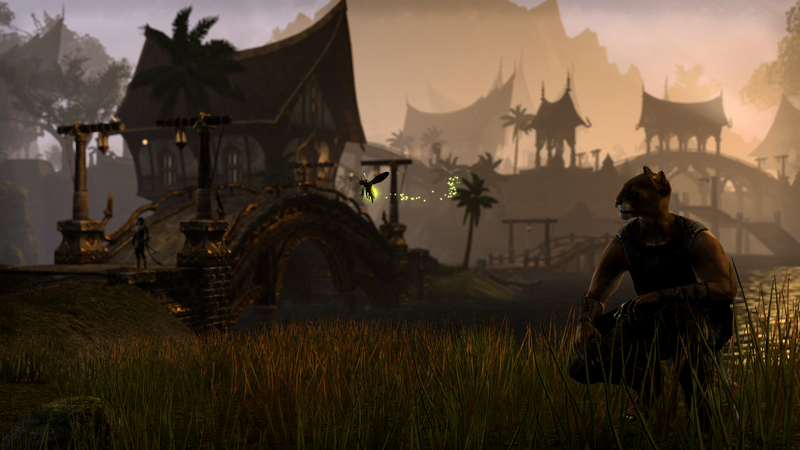 It wasn't as graphically lush as Skyrim or Oblivion, perhaps, but it felt right. Captain Kaleen needed me to track down any or all of a trio of crooks who could help with the heist: Crafty Lerisa, Neramo, or Jakarn. 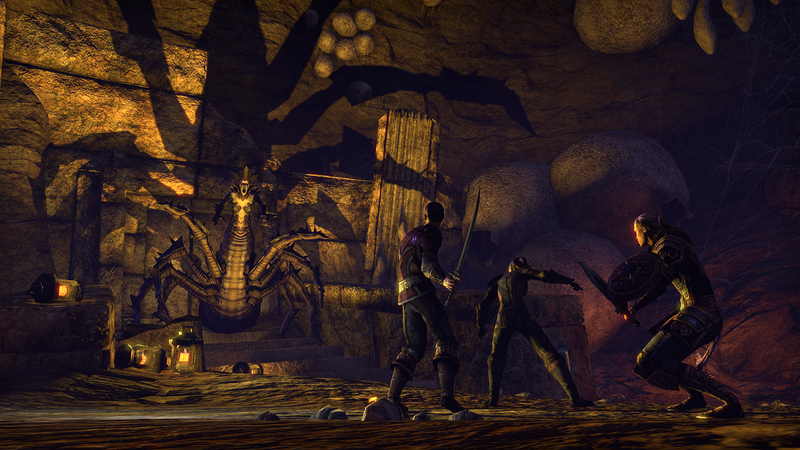 Recruiting them wasn't as easy as just tracking them down and asking, naturally - Jakarn had to be broken out of jail, Neramo wanted help exploring Dwemer ruins and Lerisa needed to rescue her crewmates. Recruiting any one of them would move you on to the next stage of the quest, but each one saved a step in the heist itself; my failure to track down Lerisa meant I had to come up with my own disguise for sneaking into the building where the booty was locked away. It wasn't that I didn't want to find Lerisa, mind you, I just kept getting distracted. I found a bottle with a note in it on the beach. And then there was an orc who wanted to be a blacksmith but whose mom expected him to be a mighty warrior. Then there was this guy who wanted me to help his friend who'd gotten so drunk that he thought he was a goblin. I found a locked treasure chest and learned how to pick it (breaking three lockpicks in the process).Then there were the mud crabs, which clearly needed killing. And the assassin beetles. And the wolves. Later, there were zombies and giant wasps, but those were after the heist so I guess I can't really use them as an excuse but oh, hey, there's a cooking pot and I've found a whole bunch of ingredients and I wonder if I can make anything with them ... oh look I can! 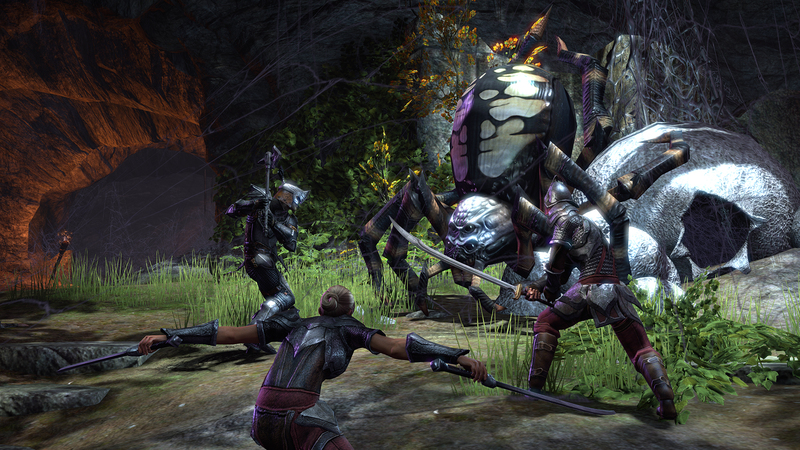 My point is that there's a lot of distractions in Elder Scrolls Online, but at no point do you feel like you're being forced in any one direction. The main quest is there, patiently waiting for you to give a damn about it, but you'll find plenty to do just by walking around. There's also a good reason for doing it; exploring will not only help you find quests (which provide experience and loot) but can also help you locate resources for crafting, which is an important aspect of the game. There are five unique craft professions: Provisioner, Weaponsmith, Armorsmith, Alchemist, and Enchanting. They all pretty much work the same way, with you combining a primary and secondary ingredient to make something. You can stop there, or you can add up to three "addititves" which can dramatically change the quality of whatever it is you're making. Though you'll always get something just by putting together appropriate primary and secondary components, progress has more to do with experimentation than with grinding by making the same tea a hundred times. You can choose to master one of the crafting styles, or get pretty good in all of them. According to the team, some of the best items in the game come from crafting, so it's worth at least a little dabbling. There will be a trading system, but the details are still a secret for now. The game's shardless megasever technology is making it a bit tricky to implement a trading system that doesn't completely blow the economy.